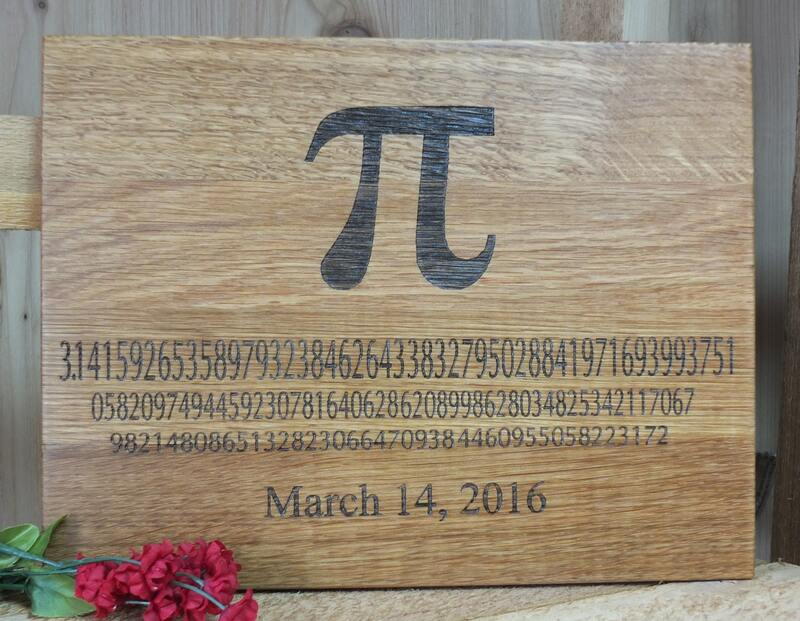 Pi Day engraved cutting board or serving board. 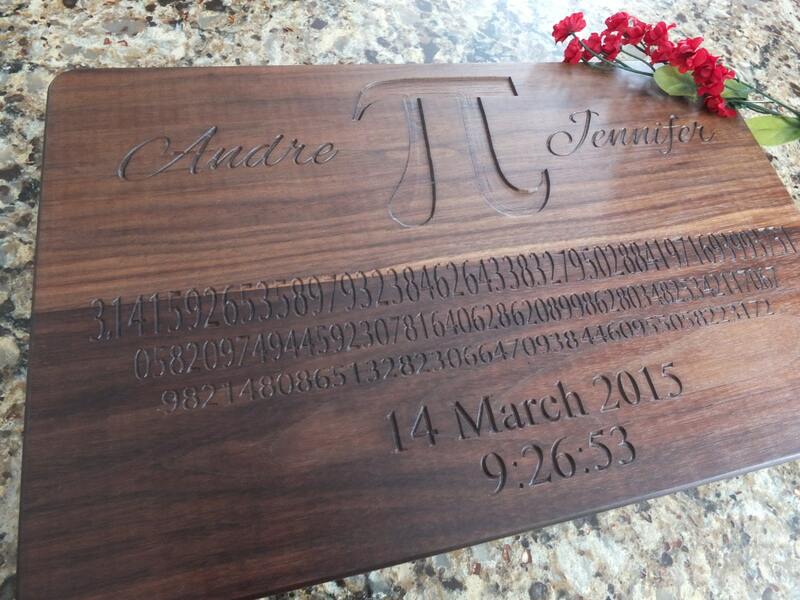 Great math themed cutting board, great geek gift, graduation gift or teachers gift! Great gift for a graduate or a favorite teacher. 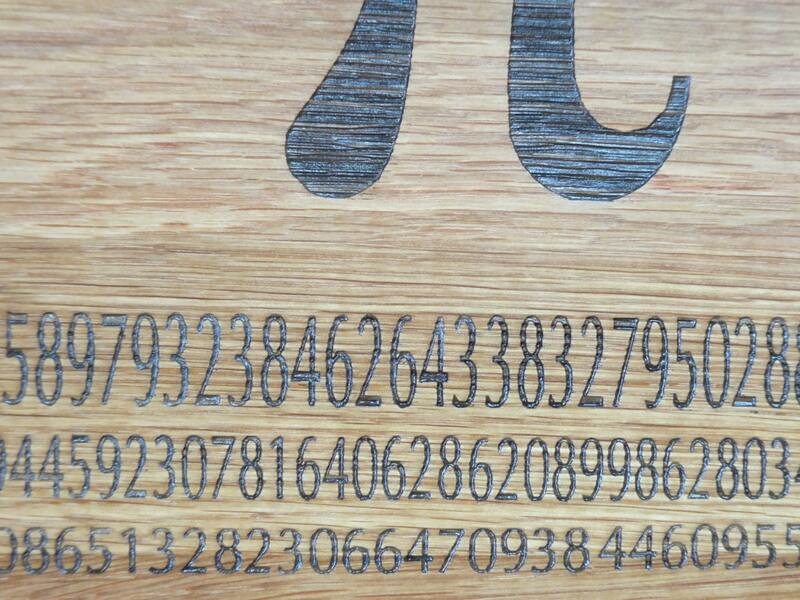 Digits of pi are deeply engraved under the sign of pi, with the date engraved underneath. 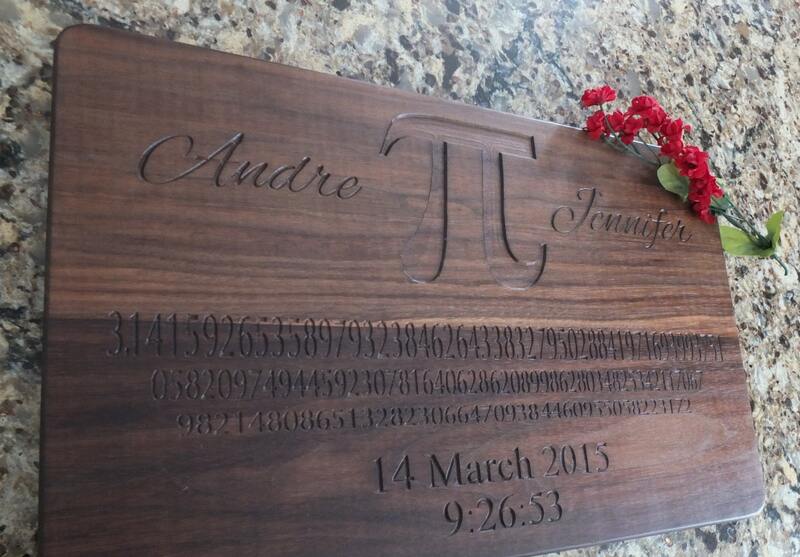 Customize to remember that special day! 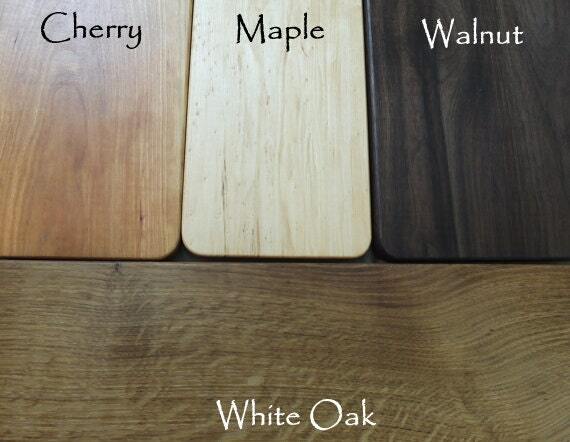 We use a laser engraver to create our products. The laser engraver produces an engraved surface that contrasts with the natural color of the wood, highlighting the engraving. Shown in Oak with Laser engraving and Walnut.